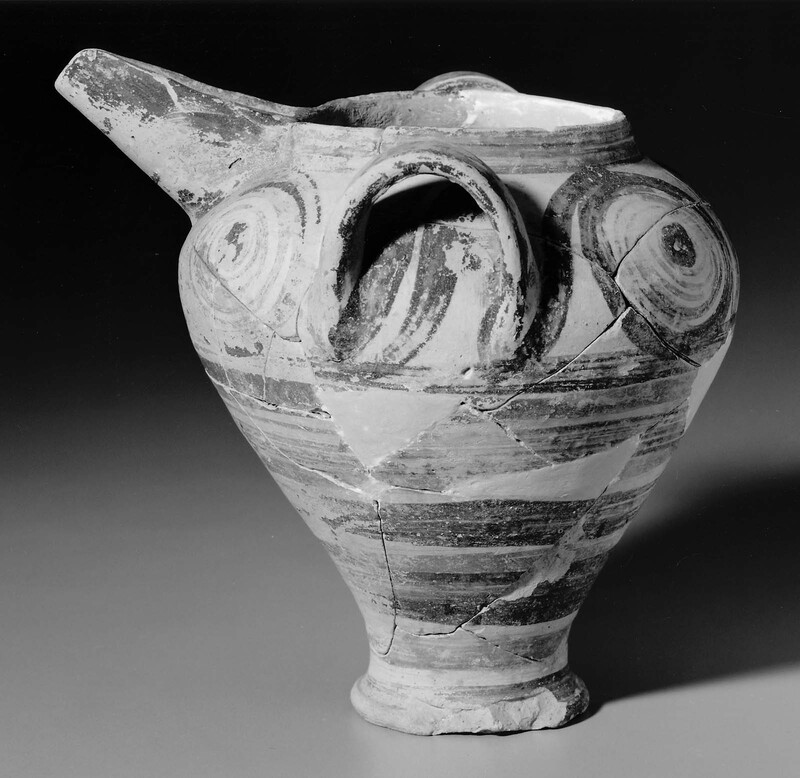 Fairbanks, Vases (MFA), no. 058. Small foot; larger at shoulder. Long tilted spout, vertical loop handles. Decoration black and red on buff clay. On shoulder a band of spirals. Below, black and red stripes. Broken and put together. Incomplete.